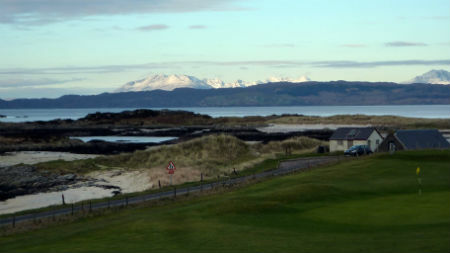 Rum cottage is in an ideal spot for some winter golf at Traigh Golf Course, acknowledged as “The most scenic 9 hole course in the world. 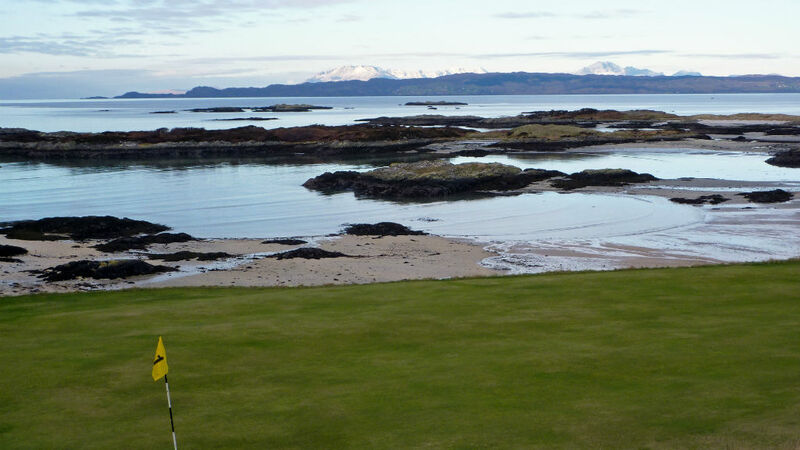 The beaches that fringe the first 5 holes vary from ice blue and aquamarine water to fascinating stretches of wet sands, reflecting the sky and clouds above. 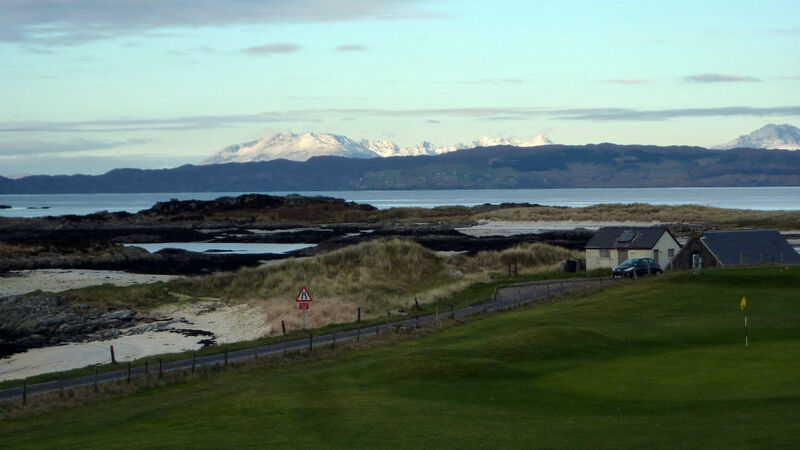 After a challenging round on the deceptively tricky holes you return to a warm comfortable cottage to relax with every facility you need for an enjoyable evening. Before the light goes take a short walk down to Camusdarach Beach and catch the sunset which never fails to interest, with glowing colours or dazzling brightness against the cloudscapes. 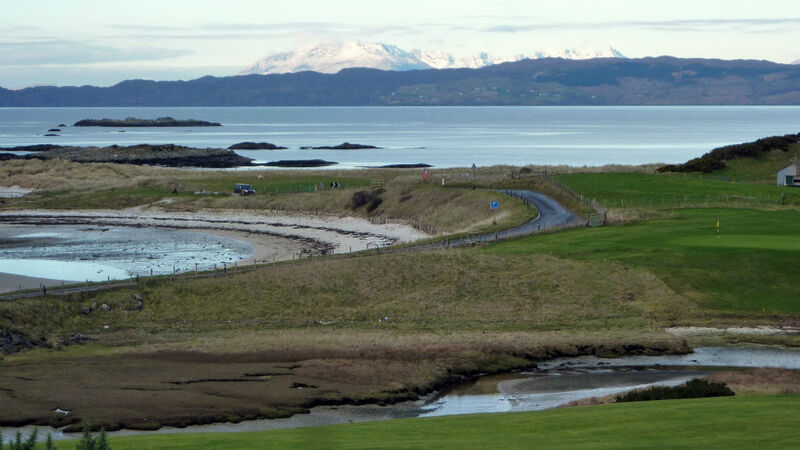 On a clear day the mountains of North Uist are visible in the distance just north of the northern tip of Rum giving promise of trips further afield in the summer. There is always something to interest you on the water; the ferries to “The Small Isles”, the Lord of the Isles coming in from South Uist, fishing boats close inshore diving for Scallops or further out returning from trips out to the Minch or further North. Sometimes the lifeboat with its “rooster tail” tells you it is off on “a shout” to assist a ship in distress or on a medivac from one of the islands.